Copies of a book by a former Navy SEAL, titled "No Easy Day," are displayed at a bookstore in Washington, D.C., on Tuesday. At least one nonprofit organization is saying they won't accept any donations from the proceeds generated by the new book about the deadly raid on Osama bin Laden. 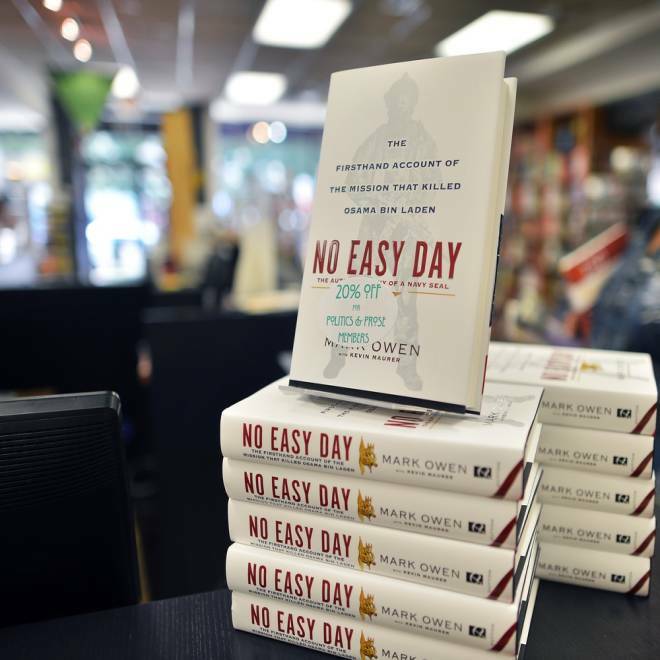 A controversy erupted when a former Navy SEAL, going by the pen name "Mark Owen," co-authored "No Easy Day," a book about the infamous event that killed the al-Qaida leader. Pentagon officials allege the book, which was released on Tuesday, contains sensitive and classified information. On its website, The Navy SEAL Foundation said it "will not be accepting any donations that are generated from the book or any related activities. "The Navy SEAL Foundation is committed to providing immediate and ongoing support and assistance to the Naval Special Warfare community and their families," the statement said. Owen asserts "No Easy Day" is about 9/11, not politics. It's still not clear whether the Justice Department will pursue criminal charges again Owen, according to Pentagon officials. However, it is possible the U.S. government could seize all money paid to the former SEAL and the publisher under a non-disclosure agreement. The book remains No. 1 in book sales on Amazon.com.